Beijing. 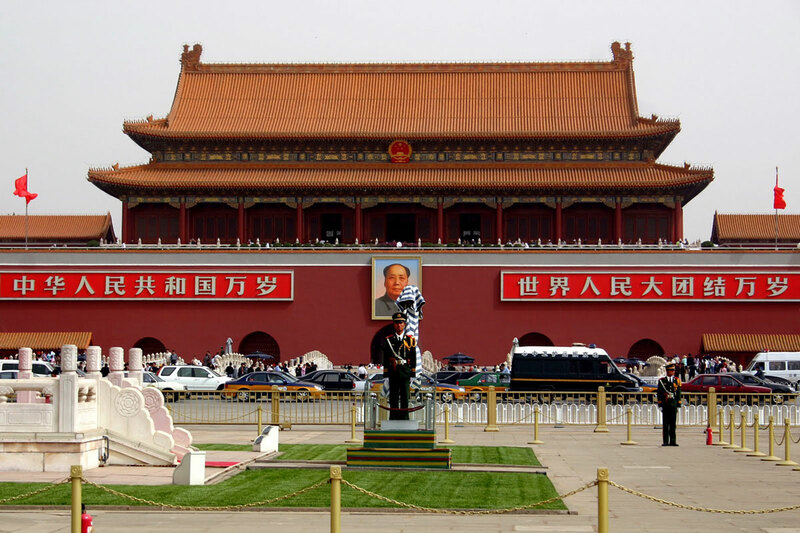 Tian'anmen square (Gate of Heavenly Peace). Tours to China. Travel to China. 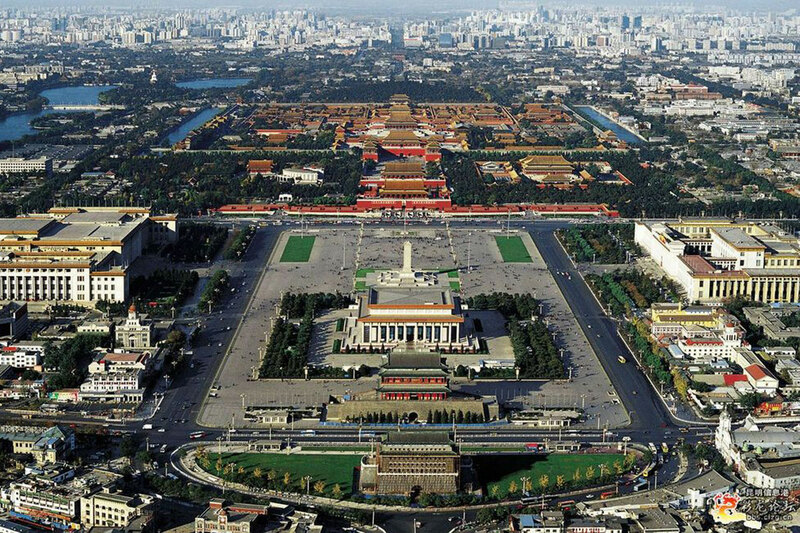 Tian'anmen square (Gate of Heavenly Peace) was and is considered as the centre of Beijing, not only because of its location but also because it is a symbol of power. 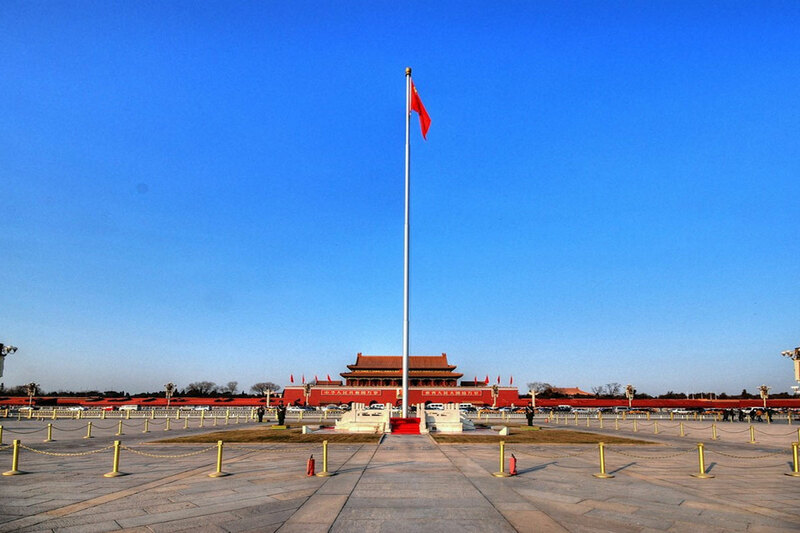 Tian'anmen is the front gate of the Forbidden City, the gate leading to the supreme power in imperial times. The tower over the gate was used for grand ceremonies in the Ming and Qing Dynasties, for instance, issuing imperial edicts. 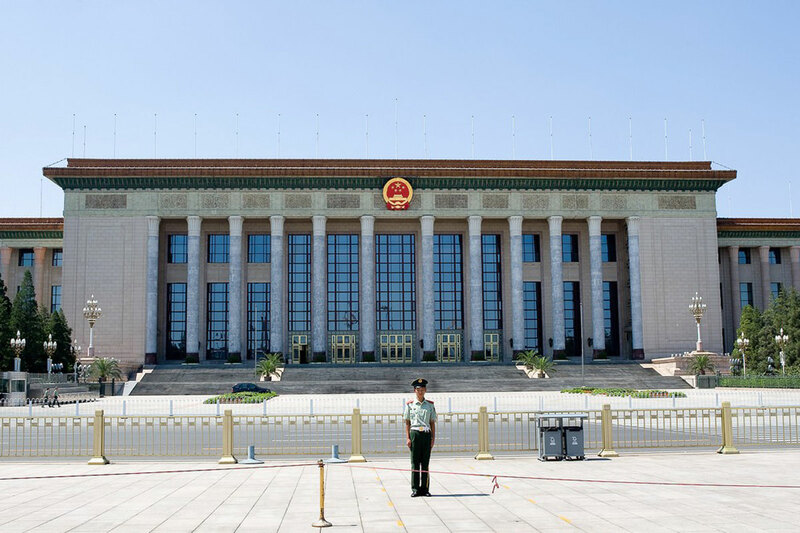 In modern China, it is also a symbol of power. 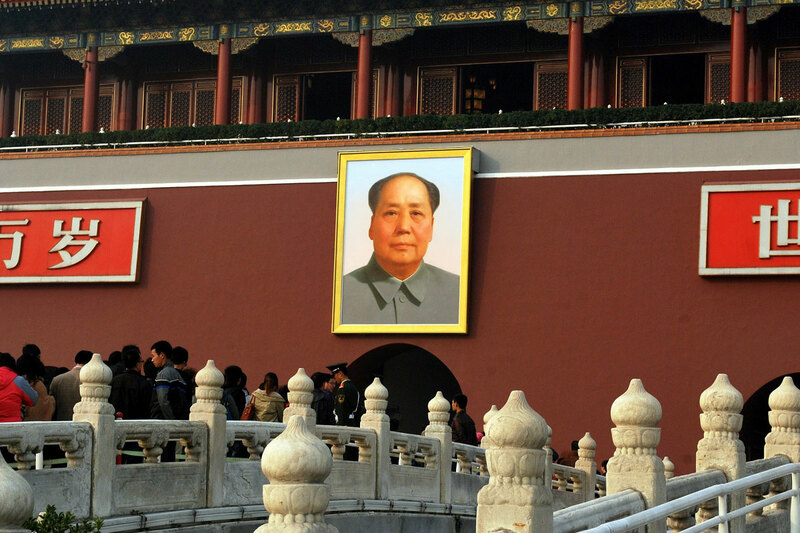 From the tower of Tian'anmen, on October 1, 1949, Chairman Mao Zedong proclaimed the founding of the new China. On National Day each year, the tower is used as a rostrum for reviewing the mass assembly. Tours N C001. Beijing (6 days/5 nights). Tours N C002. 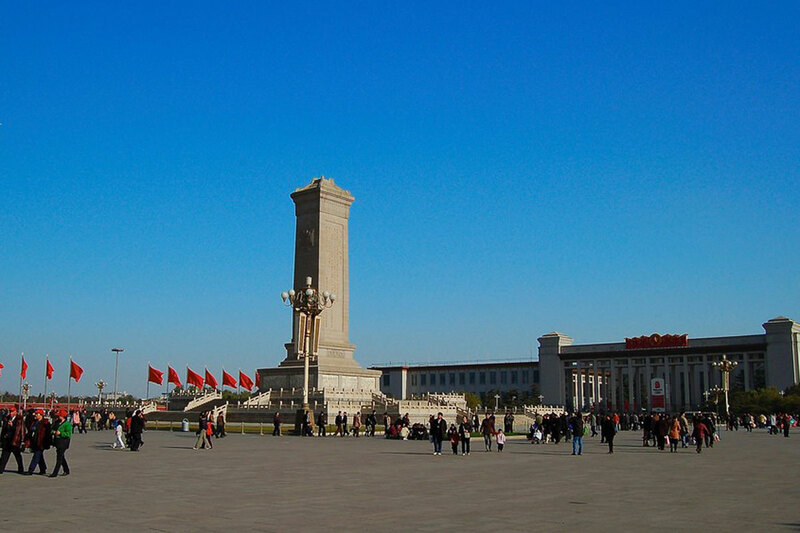 Beijing – Xi’An - Beiing (8 days/7 nights). Tours N C003. Beijing – Shanghai (8 days/7 nights). Tours N C004. 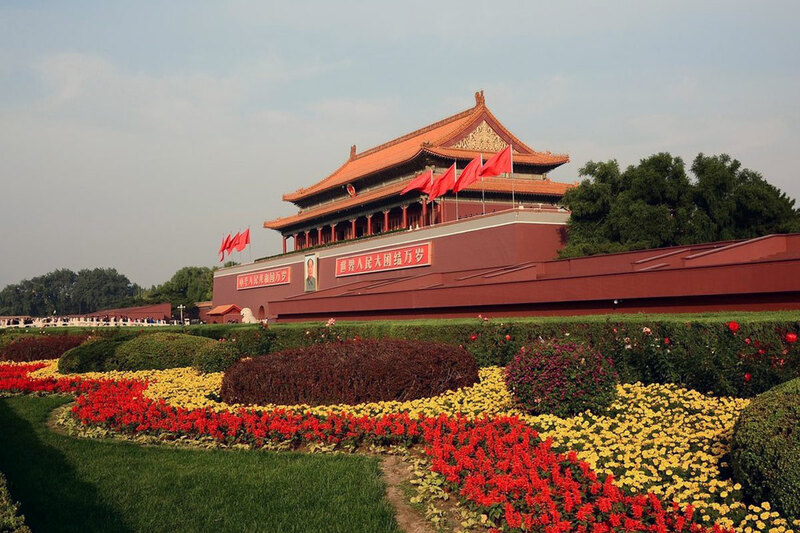 Beijing – Xi'An - Kong Gong (10 days/9 nights). Photo. Beijing. 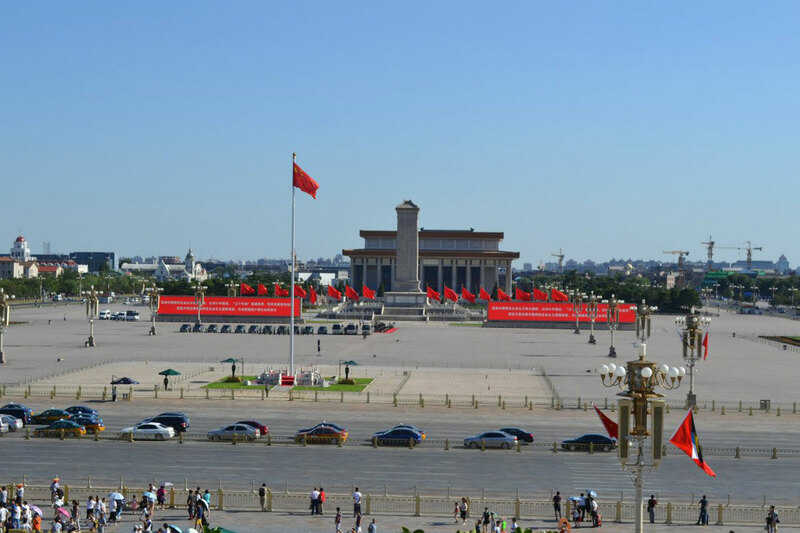 Tian'anmen square. China.